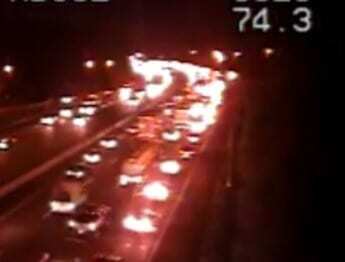 Emergency crews are on the scene of a Wednesday evening crash that is snarling rush hour traffic along Interstate 95. At just after 5 p.m., the Maryland Transportation Authority advised that three lanes of northbound I-95 had been shut down near the Mountain Road exit. The accident reportedly involved an overturned vehicle. Motorists should use Route 40 as an alternate route.